Section of the internal mechanism in a traditional very complex, heavy Business seat mechanism - circa 400mm in height and 47kg in weight. Ultra thin Business Seat Mechanism - only 53mm in height and 19.3kg for all components shown. 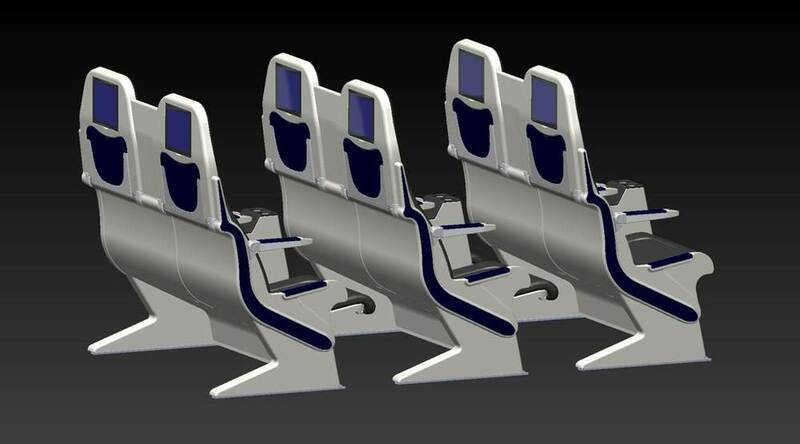 Carbon panels and an innovative mechanism driving forward movement, back recline, bed transit and seat pan elevation. Compact Drive System with a hybrid reduction gearbox to link recline angle change to forward movement from TTL to BED.